Talius provides innovative energy efficient products that will help enhance the quality of your indoor environment by reducing heat and glare. Talius’ energy efficient products improve thermal comfort conditions and reduce the risk of damaging moisture condensation on the interior of your window. Talius’ products help to reduce air conditioning costs by blocking UV rays. 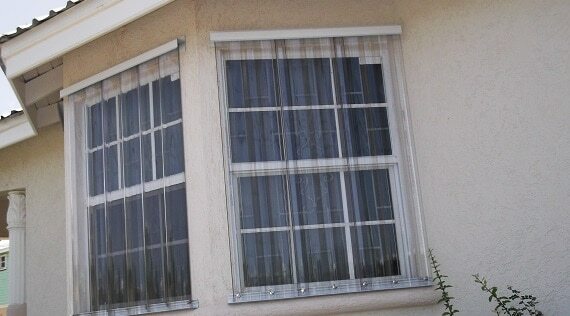 Talius Habitat Screens are a remarkable solution to reduce the amount of sun light that enters your building. Installed on the exterior of your window, Talius Habitat Screens block the suns rays before they get a chance to heat up the glass. Talius Habitat Retractable Screens block the sun without blocking your view, aiding in energy efficiency without completely boxing you in. 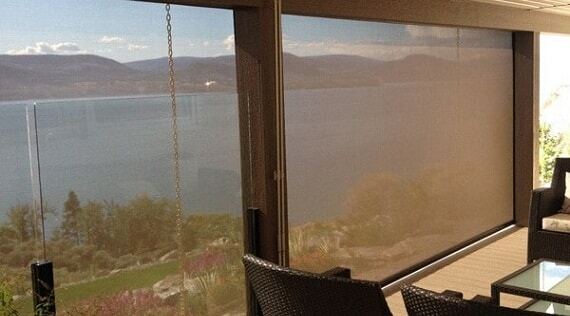 Available with sun sensors for peak performance, Habitat Screens provide protection that helps you to live more comfortably all year long and have a positive environmental impact. Talius interior automated shades help to block the sun from entering the room, helping with the energy efficiency of your building. Talius’ interior roller shades offer natural light control with a unique selection of fabrics to harmonize with your current interior. With manual or motorized options, Talius’ interior roller shades provide an unmatched quietness during operation. Talius interior roller shades are the ultimate solution for interior energy efficiency and sun protection. Talius commercial and residential rolling shutters are an effective energy efficiency solution, helping to decrease air conditioning costs. Talius security roller shutters are installed on the outside of your window creating a barrier ensuring the suns rays do not enter your window. Rollshutters glide down in place when you need them and roll up into an overhead panel box when you don’t. Talius rollshutters are insulated to absorb heat, helping to reduce your energy costs. With over 15 years of experience you can trust Talius with your energy efficiency needs. Contact one of our knowledgeable representatives to find a solution for your energy efficiency needs. We are serving in areas like Grenada, Barbados, Dominica, St Lucia etc.